After Chicago State got blown out in the Mid-Con final last week, only the Lady Blue Demons could keep the apparently basketball-challenged city of Chicago from getting shut out from NCAA Tournament play in 2006. Their male counterparts, despite an assertion from coach Jerry Wainwright that DePaul was one of the best 75 teams in the country, didn't even make the NIT, which along with the NCAA Tournament is supposed to include the top 105 teams in the country. In fact, no Chicago team made the NIT and, in general, Chicago had an incredibly poor showing in college basketball this year. It's time to take off your Chicago-centric hats and show a little love for those teams with Illinois in their names. Get your brackets out... predictions are a comin'. The Lady Blue Demons find themselves playing in the home arena of the male Blue Demons in Rosemont. The Allstate Arena hosts the number four seeded DePaul against the 13th seed Liberty on Saturday in a first round matchup. If they win, they'll play the winner of the NC State-Tulsa game, also at the Allstate Arena. The Blue Demons are in the San Antonio region, which also features number one seed LSU and number two Oklahoma. Speaking of four-seeds, U of I has the same seed in the men's tournament coming out of the Washington D.C. region. They have one of the easiest first-round games in the entire tournament, playing an Air Force team that most pundits agree shouldn't have made the tournament at all. For a four-seed, the committee didn't give Illinois a lot of respect. They won't play anywhere near home unless they make the Final Four in Indianapolis. The first two games are in San Diego, while the third and fourth rounds are at the MCI Center in D.C. The winner of the Washington-Utah State game may not pose a problem in the second round, but the one-seed in UConn would prove to be a bigger problem. A much bigger problem... and they'll have to do it all without the Chief. I know that Southern Illinois University is about as far away from Chicago as anywhere with the name Illinois can be, but it's still part of our fine state. The Salukis made the tournament for the fifth straight year and pulled off an 11-seed. SIU plays 2005's tournament darlings, West Virginia, in Detroit. Even though they're an 11, they have a decent draw, playing the winner of the Iowa-Northwestern State game before possibly heading down to Atlanta for the Sweet 16. The Atlanta region features number one overall seed Duke and number two Texas. It's a nearly impossible region to come out of for a low seed, but SIU has shown magic in the past. The most fun of the tournament is the wild upsets that seem to occur every year. There seems to be a 12-seed upsetting a five almost every year I've been alive, and this year will be no different. The five-seeds are ripe for the upset, including Texas A&M possibly beating the five-seed Syracuse, who lost more than half their games in the second half of the season before winning the Big East tournament. The most likely 5-12 upset might be Utah State over Washington, however. Other upset specials include Seton Hall over Wichita State, George Mason over Michigan State, and Xavier over Gonzaga. The second most enjoyable part of watching the tournament is picking the Final Four. Real tournament fans will pick today and stick with those picks throughout the whole thing. Sadly, most people's picks are either the four number one seeds or a bunch of wacky choices that are all gone by week two. Let's see how long these predictions last: Duke, UCLA, UConn, and Boston College. Watch for UCLA to win the national title. They're a terrific team that no one knows about because they play all their games at 10pm Eastern. Also, watch for everything I've said to be completely wrong... much like everyone else who tries to predict this wild tournament. The 2005 World Champion White Sox won it all by playing "grinder baseball" and through a whole lot of strong, strong pitching. Which is fine and good, but if you're a Sox fan, it's going to be hard to build a winning fantasy baseball squad if you go and draft a bunch of guys from your favorite team, especially in the early rounds or with your highest auction bids. In fact, it would be hard to make a case for any single White Sox player being named among the 50 "best" players in baseball, especially for fantasy purposes, where it's all about the traditional statistics rather than wins, force of will, etc. But one of the great things about adopting the roto hobby is that feeling you get from "owning" your favorite players, which multiplies the impact of their triumphs and tragedies alike. I mean, sure, a Paul Konerko-type may look at you like you're the world's biggest idiot when you drunkenly yell "Keep it up; you're on my fantasy team!" when you see him at the Bullpen Bar during his first season with the Sox, but them's the risks we fans take. Besides, knowing which guys in your league are homers can help you take advantage of them when it comes to proposing deals — just don't ask me about the time I decided against trading Austin Kearns to my league's resident Reds' fan because I didn't think that the underachieving former Twins DH would repeat the numbers he put up after his first year with the BoSox. Oye, Big Papi! But enough about my experience with imaginary baseball; let's look at which guys on the 2006 White Sox are most likely to help your fake team. Coming off of back-to-back 40-home run seasons and with nary a serious injury in his history, Paul Konerko can bring some safe, steady, serious punch to your fantasy squad. Unfortunately, there are at least a half dozen other first basemen about whom you can say the same thing, what with it being the premiere power position in the game and all. While it's hard to argue that Konerko should be picked ahead of Albert Pujols, Mark Teixeira or Derrek Lee, Paulie is in a virtual deadlock with guys like Todd Helton (who will hit for a better average but likely less power, even playing half his games at Coors Field), Lance Berkman (injury concerns), Carlos Delgado (ouchie elbow and big home ballpark may be a concern), Richie Sexson (lower average than Paulie; otherwise nearly identical despite playing in Safeco National Park), young slugger Ryan Howard (without whom we wouldn't have been able to get Jim Thome) and Adam Dunn (master of the three true outcomes). If Konerko isn't the best White Sock to have on your dream team, then Mark Buerhle is. As with Paulie, Buerhle isn't someone you want to pick in the first three or four rounds, but his name will start being spoken in the fourth or fifth round after lights-out aces like Johan Santana, Chris Carpenter, Pedro!, Roy Oswalt, Jake Peavy, Carlos Zambrano and Roy Halladay have been selected. The main difference between our Lincoln-bearded wonder and most of these other guys is in the area of strikeouts, as most of them will break 200 in the K category while Mark seems to have settled in at the 150 range. Buerhle may not repeat his career-best 3.12 ERA and 1.18 WHIP from last year, but with an improved (but not great) offense behind him he may finally reach the Cy-worthy 20 win plateau. I'm going out on a limb here and predicting that none of the remaining White Sox hitters or starting pitchers will have breakout seasons, which would make a 35-save, 100-strikeout season from big flame-throwing closer Bobby "Spud" Jenks quite valuable. Ranking closers is always a challenge because their most valuable contribution to fantasy scoring, saves, are as much a matter of opportunity as ability. Consider, for example, that Danys Baez saved 41 games (in 49 chances) for a Tampa Bay team that won 67 games, while Mariano Rivera saved only two more games (out of 47 save opportunities) for the 95-win Yankees. Why? Because the Yankees frequently blew out their opponents, while the Devil Rays had to scrap and scrape for their few wins. In any case, I just have a really good feeling that the combination of Big Bob and Ozzie will click again this year. If Buerhle falls into the "just short of surefire ace" category, then Freddy Garcia, Javier Vazquez, Jose Contreras and Jon Garland (in that order, sez me) all fall into the third tier of fantasy starting pitchers who should give you a lot of innings of above-average performance despite pitching half their games in The Cell. Garcia showed some serious away/home splits, winning 10 games on the road and only four at home last season. At age 30, he's a known quantity who should strike out 150 or so batters, win 12-16 games and have an ERA around 3.75. I'm hopeful that Javier Vazquez can return to the level of excellence he displayed in his Expos days after back-to-back disappointing seasons with the Yankees and Diamondbacks. WHIP is a better predictor of ERA than ERA is of WHIP, so if Vazquez can again average just 1.25 base runners per inning his ERA could fall below 4. Javy also strikes out close to a man per inning, putting him a cut above the rest of his rotation mates in that category. Jose Contreras represents a high risk/high reward proposition — is he the middling pitcher who showed up in '04 and the first half of last season, or the guy who attained ace status down the stretch and through the post-season last year? My heart and my head disagree on this one. Finally, Jon Garland's low strikeout totals limit his value in leagues that don't give bonus points to guys who throw great sinkers and induce oodles of ground balls. Garland could post an ERA around his career average of 4.42 but get you 15 wins anyway. Those of you scoring at home have noticed that Konerko is the only Sox offensive player mentioned above, both because of the team's quality pitching and the relative mediocrity of the stats we're likely to get from these hitters. The best fantasy bets from the lineup include Jim Thome, Jermaine Dye and Scott Podsednik. Thome should be good for 30-40 home runs if his back and elbow hold up; DHing most of the time should agree with Big Jim, though a .260-ish average seems likely. Regular players of lawyerball and Hawk Harrelson can talk about how good World Series MVP Dye was last year compared to his peers in right field, but with so few leagues requiring you to start outfielders at specific outfield positions, he fits in just around the bottom of the top 40 total outfielders list. Dye seems likelier to play a full season than comparable players like Magglio, Griffey, Cliffy (Floyd) and Geoff Jenkins, and another .270/30 homer/80 RBI season is a fair expectation for the 32-year-old. Podsednik brings the rarest of commodities, the ability to steal 50 or more bases, but will severely hurt you in the power categories without adding too much in runs scored or batting average — he's the rare member of this White Sox team who has more value in fantasy baseball than the real game. Going around the horn, the Sox offer a slew of borderline fantasy starters with catcher A.J. Pierzynski (just a touch below his North Side counterpart Michael Barrett), second baseman Tadahito Iguchi (the team hopes he ups the power numbers with his move down in the batting order), shortstop Juan Uribe (might be better as a fantasy backup, especially since he'll be discouraged from taking so many big hacks for the fences while batting second) and post-season hero Joe Crede (who will likely go earlier than the 20th-best offensive third baseman should based on his newfound name recognition after 12 great games on the national stage). Much as I like him, centerfielder Brian Anderson is strictly fantasy backup material in his rookie campaign, and will go undrafted in a lot of leagues based outside of Chicago. And only those playing in ultra-deep leagues will want to consider the bench players. What's up with the bold face all over the place? Uh, that would be my fault -- typo in a bold tag. It should be fixed now. Jason Maslanka began his fandom of the Chicago Bulls in June of 1991, conveniently coinciding with the franchise's first championship. The years since the championships tested his fandom, but it never faltered. He believes that the NBA is more than dunks and hip hop, and that the NBA dress code is a good thing. He thinks most fans don't really understand basketball, and if they did, they'd love it even more. He knows that there are certain players who do the little things for no praise, and stat-mongers who don't really do anything to help their team win. 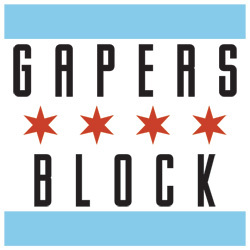 Every week, he plans to execute a beautifully crafted column containing five points you should be thinking about and discussing as a Bulls and NBA fan. 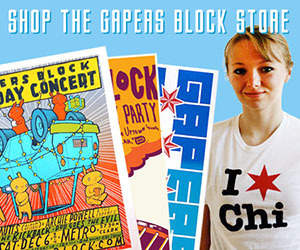 Send comments, questions, and arguments to bulls@gapersblock.com.